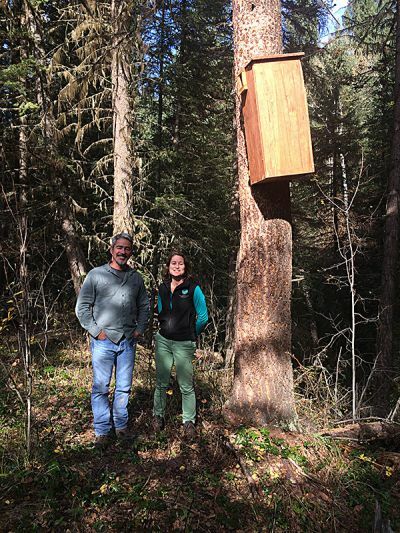 In late September HCTF staff biologist Kathryn Martell and financial officer Katelynn Sander travelled to Williams Lake to conduct evaluations on two projects. 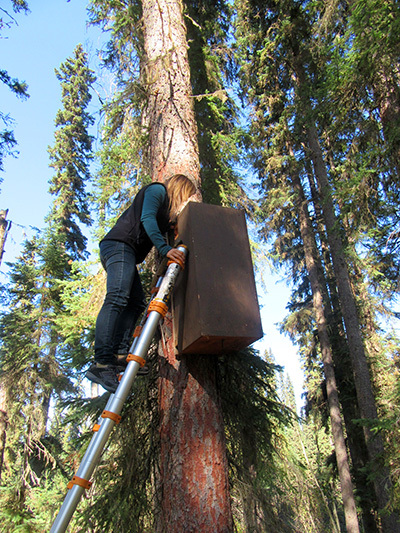 The first was the Fisher Artificial Reproductive Den Box Study led by Larry Davis of Davis Environmental Ltd.
Fishers are a threatened species in British Columbia and are also the largest obligate tree-cavity user in North America. They typically use cavities in large diameter trees both for resting in winter, and as reproductive dens. Suitable den trees are rare in the landscape and impacts in many areas of the province have further reduced the availability of this habitat feature. 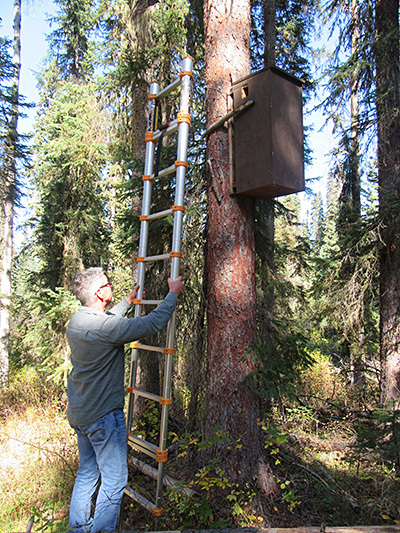 Larry’s project seeks to determine if fishers will use artificial (man-made) den boxes for reproductive dens, as a way to augment denning habitat in areas where natural den trees have been reduced. 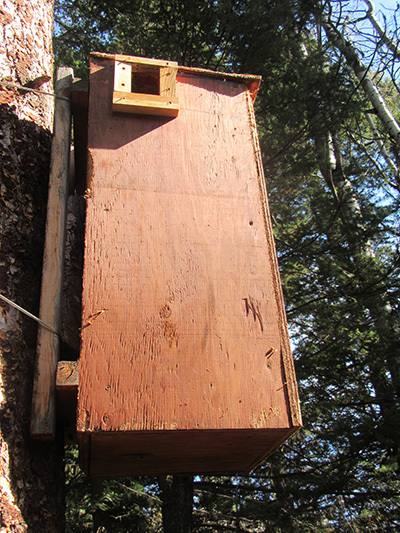 This year of the study continued the monitoring efforts on the 56 den boxes installed during this project. 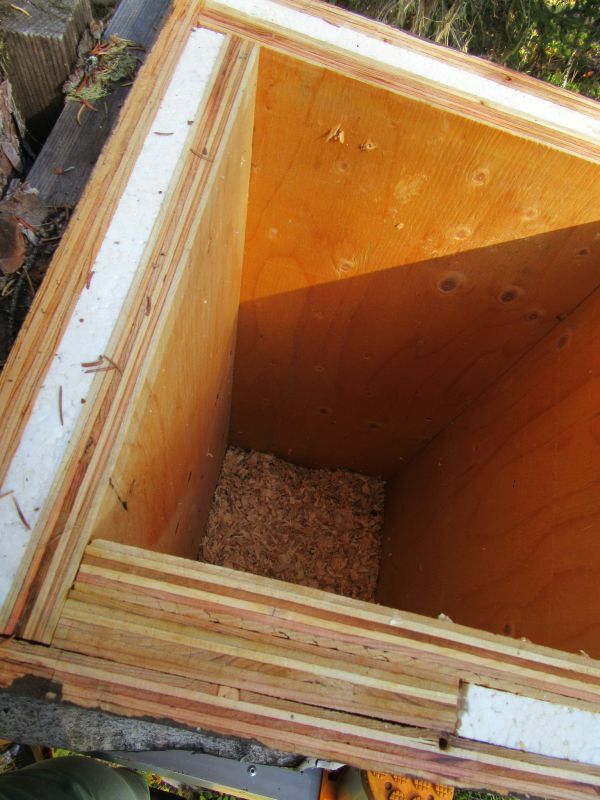 Larry has been successful in attracting fishers to 50% of the den boxes, using them for resting, and more den boxes are being used for reproduction each year. 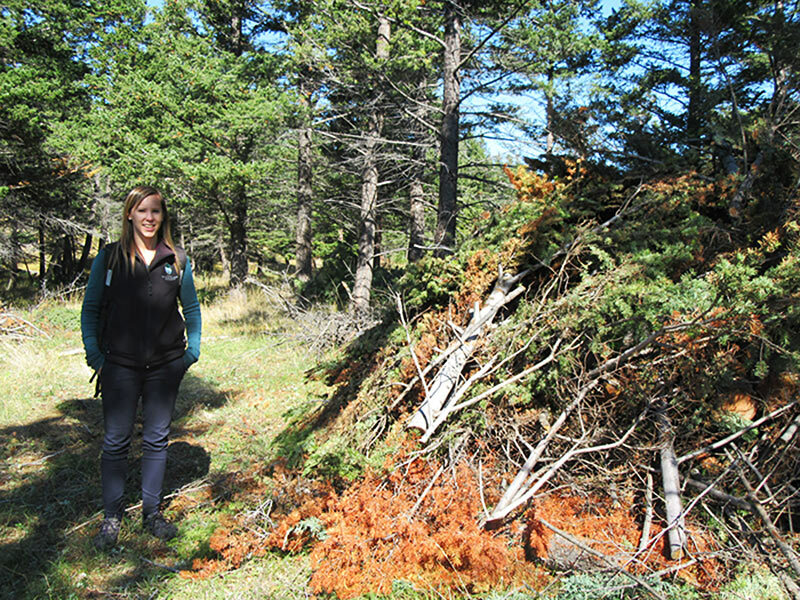 The second project staff explored was the High Lake Grassland and Open Forest Restoration Pilot, led by the Friends of Churn Creek Protected Area Society. The goal of this project is to restore approximately 80 ha of mixed open grassland and dry, open forest habitats which have been degraded by tree encroachment and ingrowth in Churn Creek Protected Area (CCPA). The project is also designed as a pilot to evaluate an approach for encroachment and ingrowth removal that does not require broadcast burning. Logistical constraints restrict using broadcast burning in High Lake and other parts of CCPA, and many of the young trees are already too large to be killed using this technique. Rather, in this pilot, stems are slashed and piled and the piles burned in winter. The project area is within important mule deer range and is located on a designated no-grazing benchmark within the CCPA. 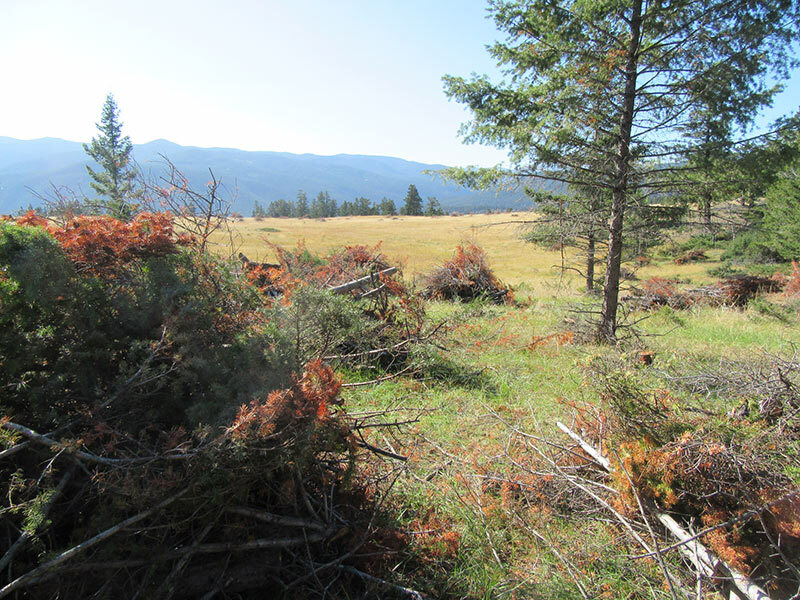 Fixed plots have been established to document pre-treatment tree cover, undergrowth vegetation, and mule deer use and measure changes following restoration treatments. Much of the tree encroachment and ingrowth on the project area consists of relatively large (> 4 m tall), often dense (closed or moderately closed canopy) stems. Tree encroachment was felled and piled by a Stswecem’c-Xgat’tem First Nation crew. Felling on 51 ha (72%) of the encroached grasslands was completed in the summer of 2015, and they were nearly finished when the HCTF team visited in September 2016. Burning the piles is set to take place this winter. You can already see a dramatic difference on this landscape as encroachment areas are being opened up and restored to dry grassland and open forest. 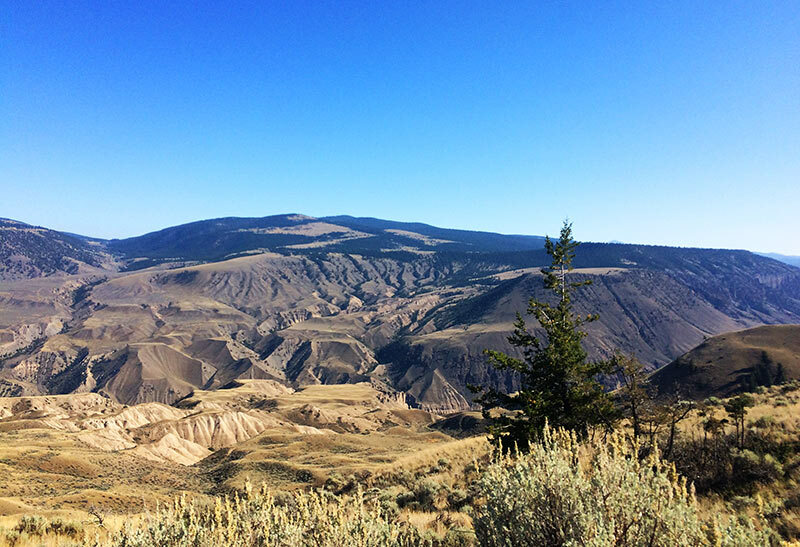 This piloted approach has the potential for significant habitat enhancement, in the Churn Creek Protected Area and elsewhere. 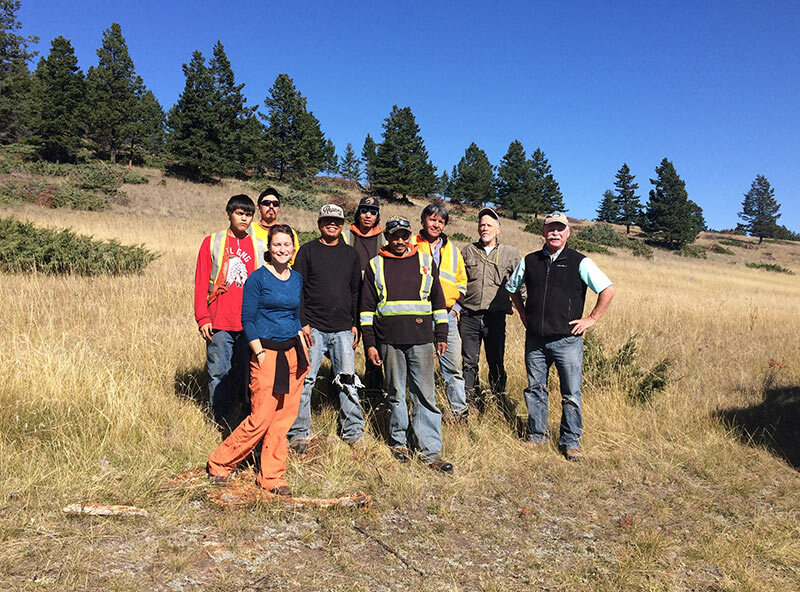 HCTF would like to extend a big thank you to the Friends of Churn Creek Protected Area Society, the Stswecem’c-Xgat’tem First Nation crew, and Larry Davis for taking the time to explain the projects and show HCTF around their sites. We were impressed with how well managed and implemented both projects were, and it was great to meet the passionate individuals who are making this happen.